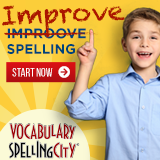 This post is from our contributing sponsor Time4Learning. Many people associate politicians and other influential people with prestigious private schools. In some cases that’s true. But many of the most powerful and significant figures in the United States didn’t attend private or public schools — they were homeschooled. It may have been by choice or by necessity, but parents from all walks of life chose homeschooling for these powerful politicians. Maybe it was the flexibility that homeschooling affords, as many of these homeschooled politicians, as youngsters, also worked or were woefully poor and didn’t live near a school. For example, Abe Lincoln walked several miles to what was called a “blab school”—a crowded room where the students read their lessons out loud all at the same time. He said “all his schooling did not amount to one year.” Lincoln mainly learned at home, famously practicing his writing on the back of a shovel, in dust, and in snow. Homeschooling has obviously come a long way since then, but regardless, homeschooling was their educational experience and it played a pivotal role in how these people grew to be the movers and shakers of American politics. John Adams: Adams served as the second President of the United States and the first Vice President. He was a lawyer, diplomat, statesman, political theorist, and a forerunner of the movement for American independence from Great Britain. John Quincy Adams: Adams served in the Massachusetts State Senate and the U.S. Senate. He also served as secretary of state under James Monroe. He won a controversial election and served one term as the sixth president of the U.S.
Grover Cleveland: Cleveland was the 22nd and 24th President of the United States, the only President in American history to serve two non-consecutive terms in office (1885–89 and 1893–97). He won the popular vote for three presidential elections. Jefferson Davis: Davis was a U.S. senator from Mississippi, U.S. secretary of war and president of the Confederate States of America during the entire American Civil War. Several weeks after the Confederate surrender, Davis was captured, imprisoned, and charged with treason. He was never tried. Benjamin Franklin: Franklin was a statesman, author, publisher, scientist, inventor, and diplomat. He helped draft the Declaration of Independence in and negotiated the 1783 Treaty of Paris that ended the Revolutionary War. Franklin is the only founding father to have signed all four of the key documents establishing the U.S.: the Declaration of Independence, the Treaty of Alliance with France, the Treaty of Paris establishing peace with Great Britain, and the U.S. Constitution. James A. Garfield: Garfield was sworn in as the 20th U.S. president in March 1881 and was assassinated in September of that same year, making his tenure in office the second-shortest in U.S. presidential history. Alexander Hamilton: Hamilton was born in the British West Indies. He was a member of the Continental Congress, an author of the Federalist Papers, an advocate of the Constitution, and the first secretary of the Treasury, where he helped found the first national bank, the U.S. the U.S. Mint, and a tax collection bureau that would later become the U.S. Coast Guard. William Henry Harrison: Harrison became the ninth president but served just one month in office before dying of pneumonia. His term from March 4, 1841, to April 4, 1841, is the shortest of any U.S. president. He was considered a United States war hero after fighting at the Battle of Tippecanoe in 1811. He served as a U.S. congressman and senator from Ohio. Patrick Henry: Famous for the “Give Me Liberty Or Give Me Death” speech to the Virginia Assembly in 1775, Henry served a central role in the overthrow of the royally appointed Virginia leadership and was elected governor five times. Andrew Jackson: Jackson earned renown as a military hero. He became America’s seventh president. As America’s political party system advanced, Jackson became the leader of the new Democratic Party. He was the only president to be held as a prisoner of war and the first to be a target of an assassination attempt–which failed twice. Thomas Jefferson: Jefferson was the author of the Declaration of Independence and the third U.S. president. He served in the Virginia legislature and the Continental Congress and was governor of Virginia. He later served as U.S. minister to France and as U.S. secretary of state, and was vice president under John Adams. Andrew Johnson: Johnson became the 17the president after the assassination of Abraham Lincoln. He served from 1865 to 1869 and became the first American president to be impeached in 1868, but he was not removed from office. He did not run for a second presidential term. Abraham Lincoln: Lincoln was a self-taught lawyer, legislator, and vocal opponent of slavery. He was elected 16th president of the United States prior to the outbreak of the Civil War. His Emancipation Proclamation cleared the way for slavery’s abolition and the Gettysburg Address is one of his most famous speeches. In April 1865, Lincoln was assassinated by Confederate sympathizer John Wilkes Booth. Lincoln only had about 18 months of formal education. He read books and magazine articles on his own. James Madison: Madison was the fourth American president. He wrote the first drafts of the U.S. Constitution and the Bill of Rights and earned the nickname “Father of the Constitution.” In 1792, Madison and Thomas Jefferson established the Democratic-Republican Party. When Jefferson became the third U.S. president, Madison served as his secretary of state. James Monroe: Monroe became the fifth U.S. president. He supervised westward expansion of the U.S. and reinforced American foreign policy in 1823 with the Monroe Doctrine, which warned European countries against further colonization and intervention. He helped negotiate the Louisiana Purchase, which doubled the size of the U.S., and as president, he acquired Florida for the country. John Penn: Penn signed both the United States Declaration of Independence and the Articles of Confederation as a representative of North Carolina. James Polk: Polk became the 11th U.S. president. During his presidency, the country’s territory grew by more than one-third and stretched across the continent for the first time. Before becoming president, he served in the Tennessee legislature and the U.S. Congress and became governor of Tennessee 1839. Franklin D. Roosevelt: During his second term as governor of New York, Roosevelt was elected as the nation’s 32nd president. During the Great Depression, he instantly acted to establish public confidence, proclaiming a bank holiday and speaking directly to the public in a series of radio broadcasts or “fireside chats.” He led the United States to victory over Nazi Germany and its allies in World War II and helped lay the foundation for the United Nations. He was confined to a wheelchair. Theodore Roosevelt: Roosevelt was the 26th president after the assassination of William McKinley. Roosevelt became known as the great “trust buster” for his determination to stop industrial combinations under the Sherman Antitrust Act. As a conservationist, he set aside 200 million acres for national forests, reserves, and wildlife refuges. He also won a Nobel Peace Prize for his negotiations to end the Russo-Japanese War and led the beginning of construction on the Panama Canal. He was blinded in one eye during a boxing match. John Tyler: Tyler became the 10th president after the death of President William Henry Harrison. He was nicknamed “His Accidency,” as the first vice president to become chief executive due to the death of his predecessor. At age 21, he was elected to the Virginia legislature and went on to serve in the U.S. Congress and as governor of Virginia. Among his administration’s accomplishments was the 1845 appropriation of Texas. George Washington: Washington was commander in chief of the Continental Army during the American Revolutionary War and served two terms as the first U.S. president under the Constitution. During the American Revolution, he led the colonial forces to victory over the British and became a national hero. Woodrow Wilson:Wilson became 28th U.S. president and spearheaded the country through World War I. He helped establish the Federal Reserve and Federal Trade Commission and negotiated a peace treaty that included a plan for the League of Nations. Wilson received the Nobel Prize for his peacemaking efforts. He suffered a stroke during his presidency. 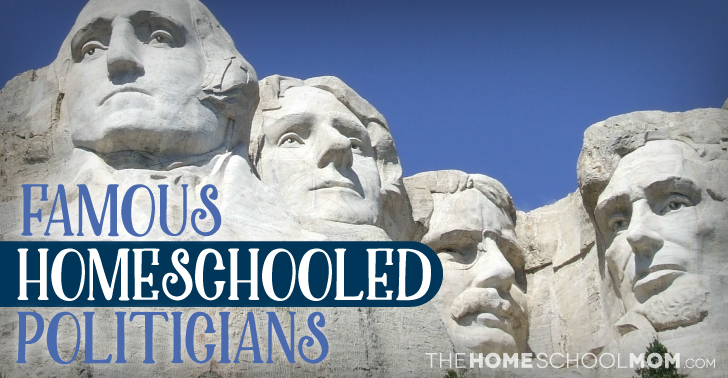 Although homeschooling has grown tremendously over the years, it doesn’t always receive the attention it deserves — especially when you see how it helped shape the intellect and outlook on life and education on these politicians and founding fathers. This proves once again that homeschooling offers so much more than a traditional education. 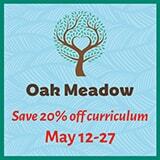 It gives parents and students the freedom and flexibility to explore a wide range of educational experiences. From learning with textbooks, online interactive curriculum tools, as well as utilizing the world around them as an exercise in life-lessons, parents and students can let their imaginations run wild. With homeschooling, the sky’s the limit!